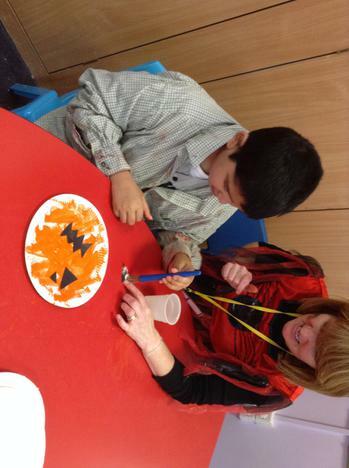 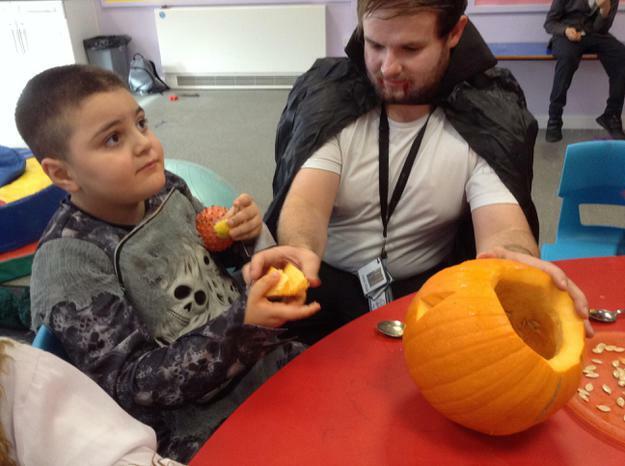 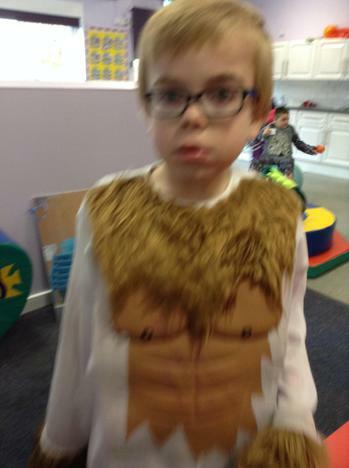 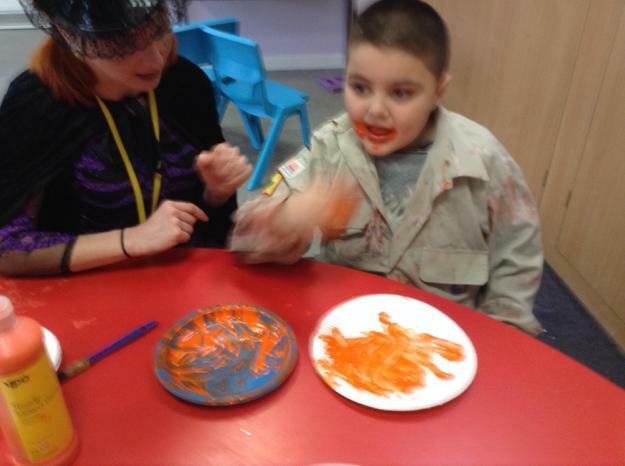 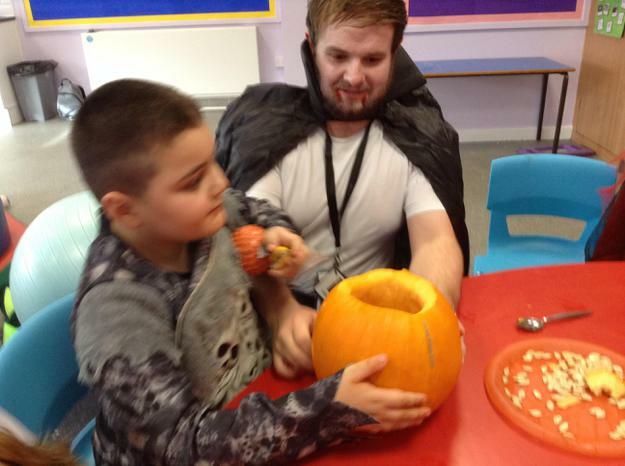 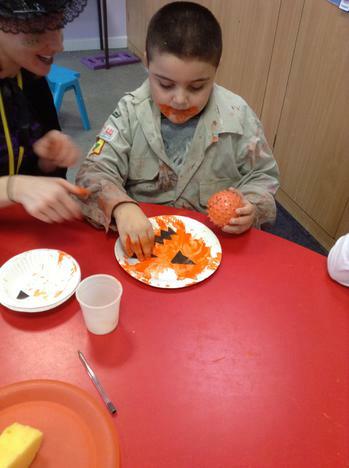 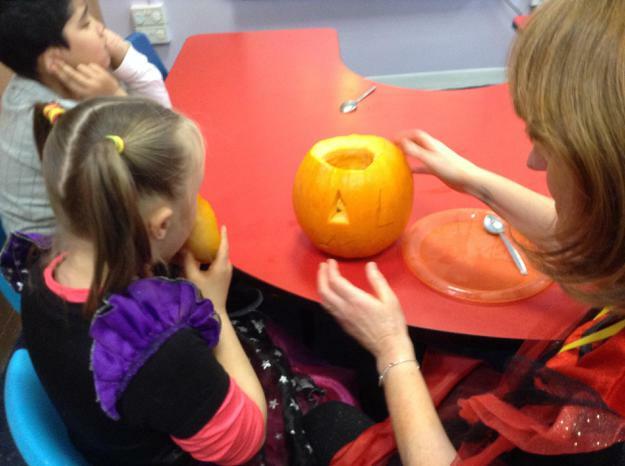 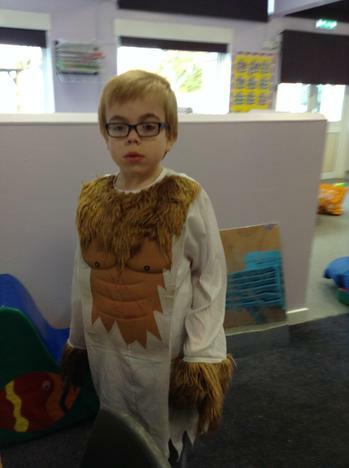 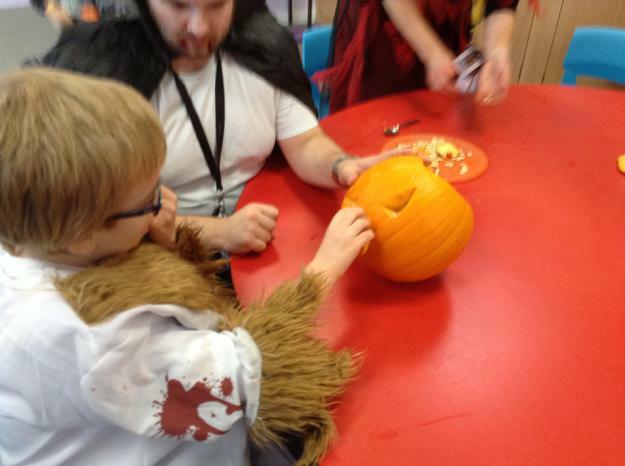 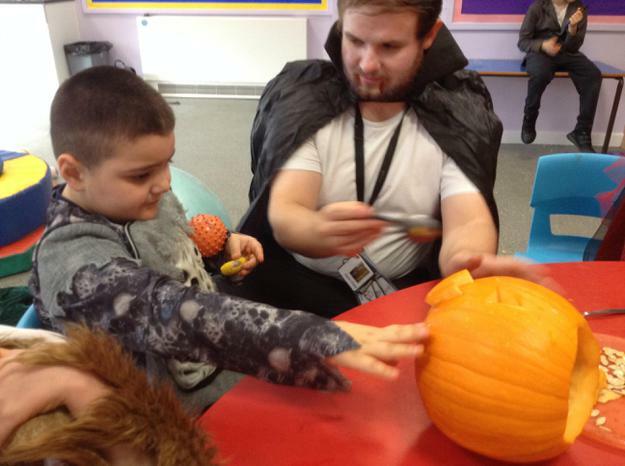 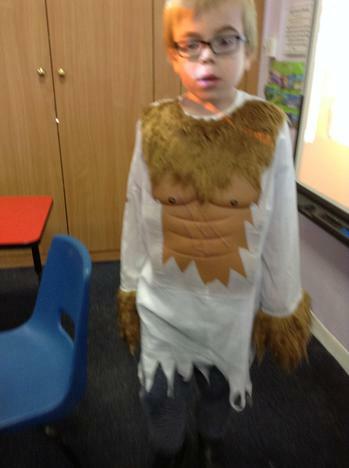 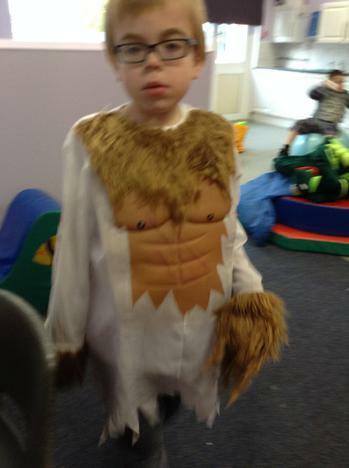 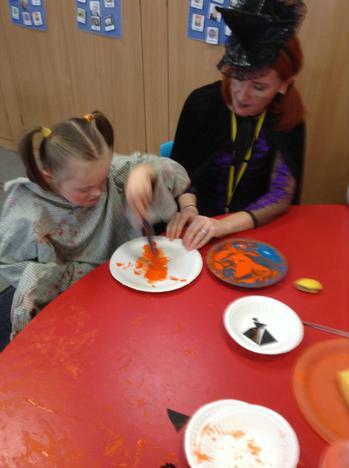 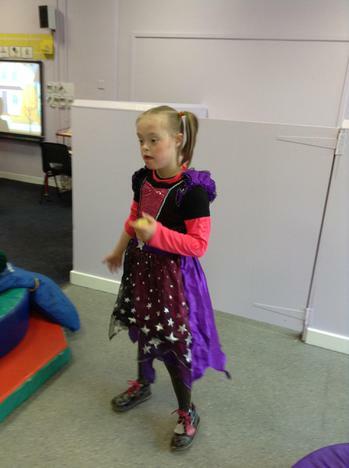 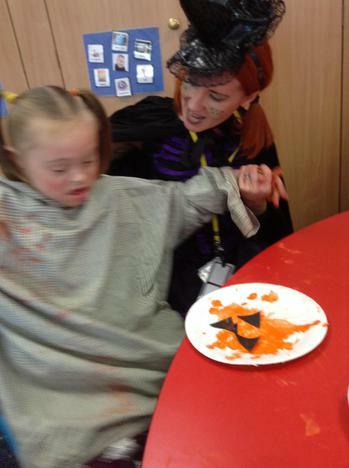 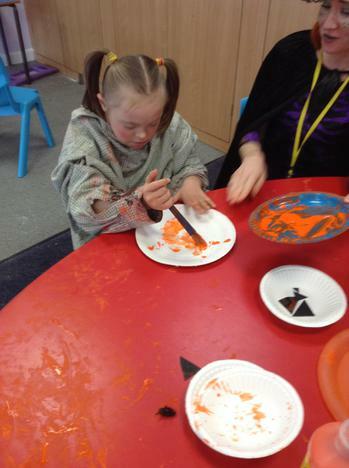 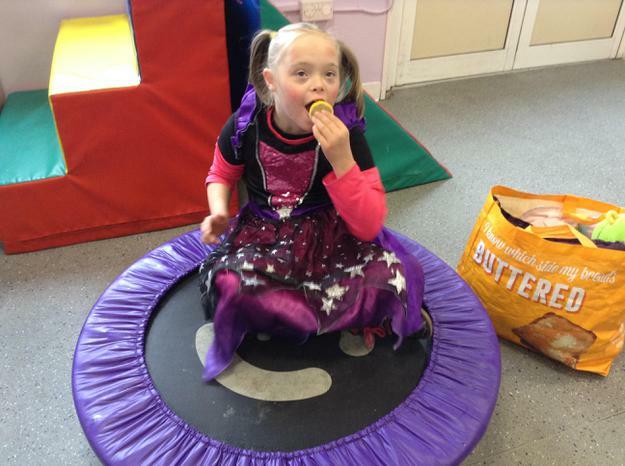 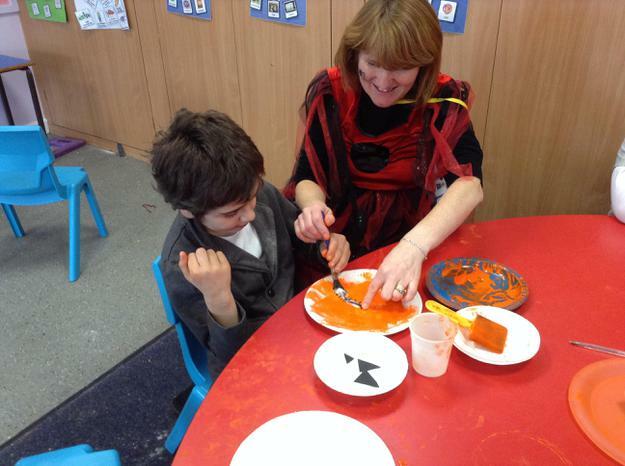 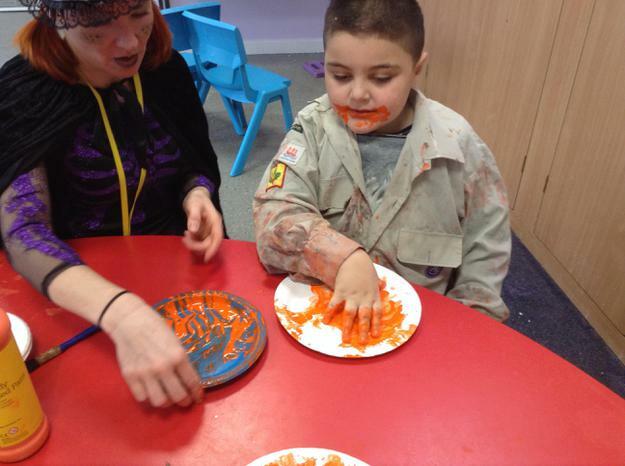 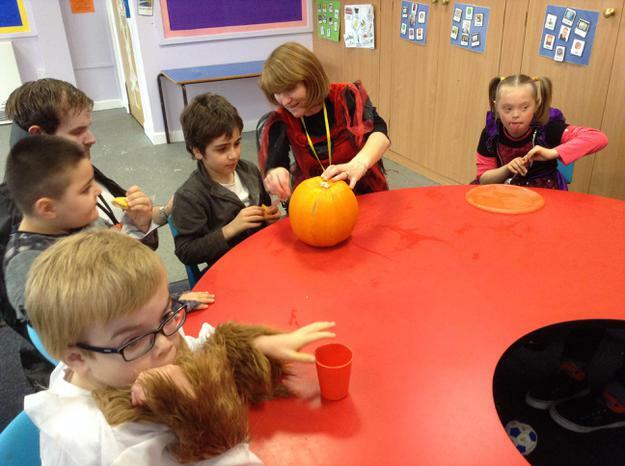 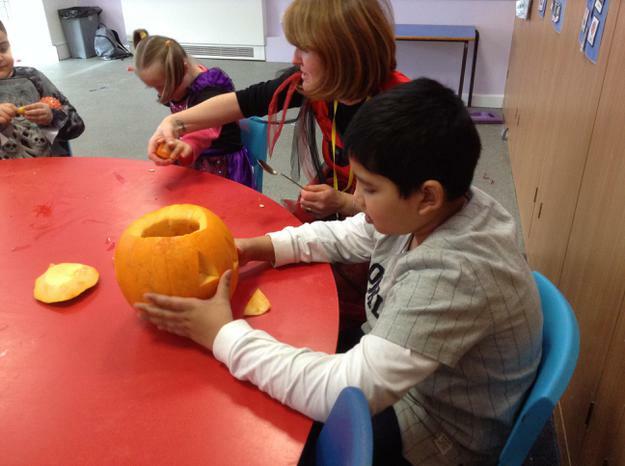 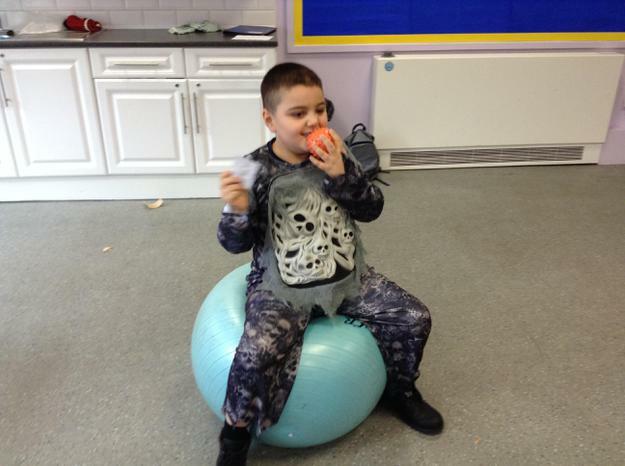 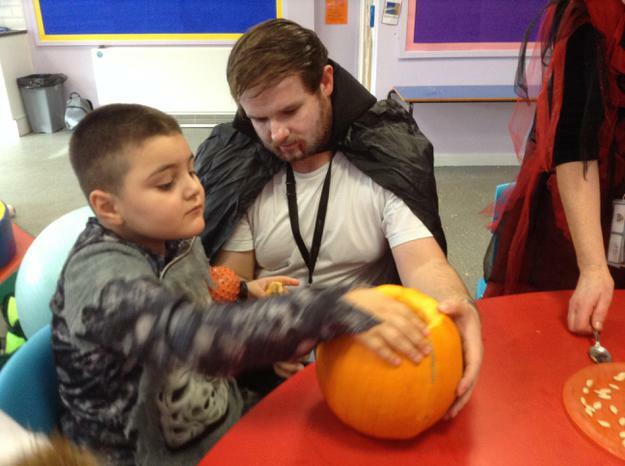 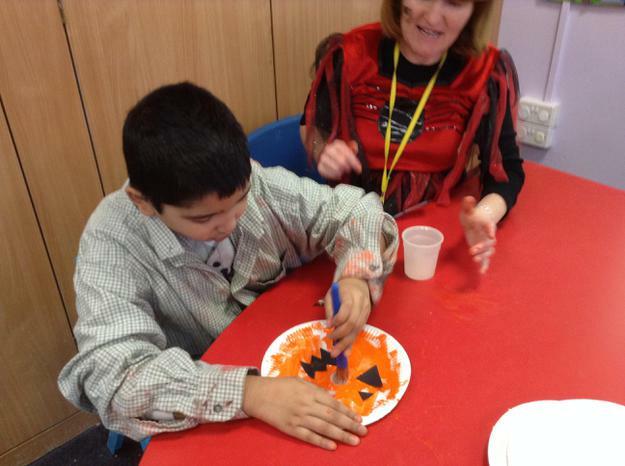 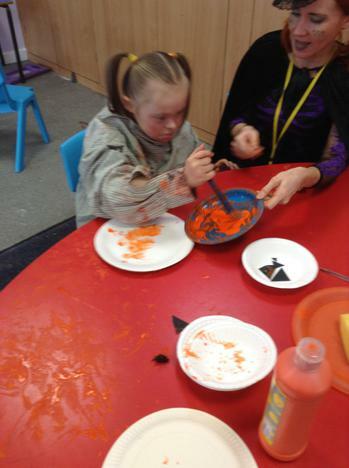 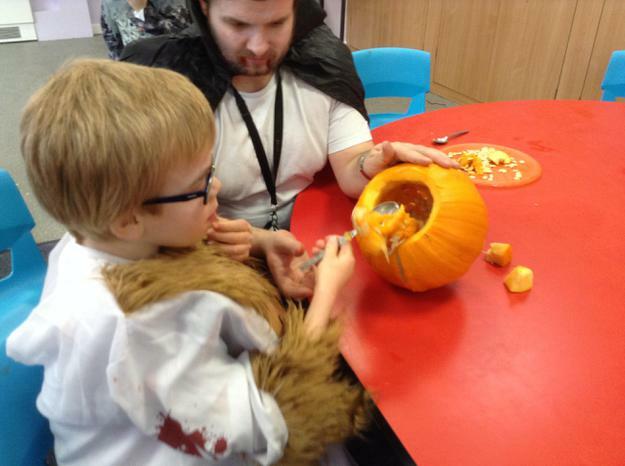 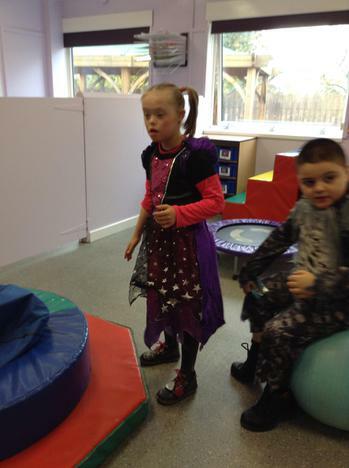 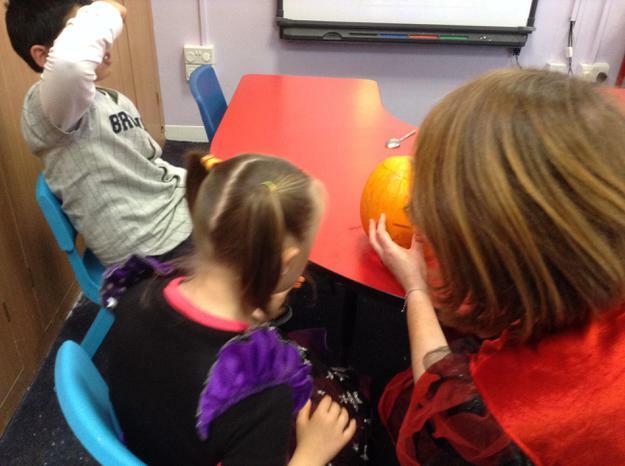 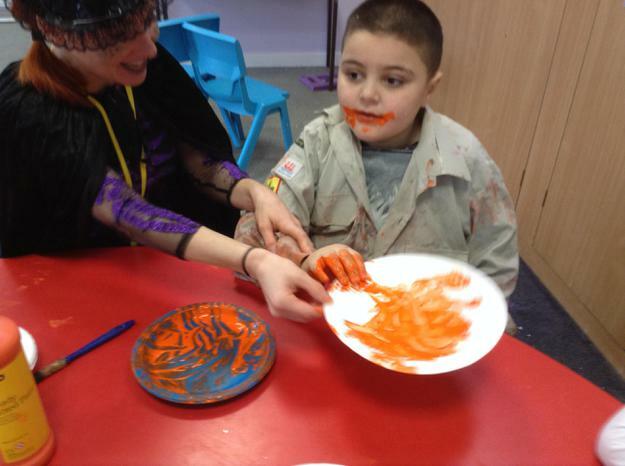 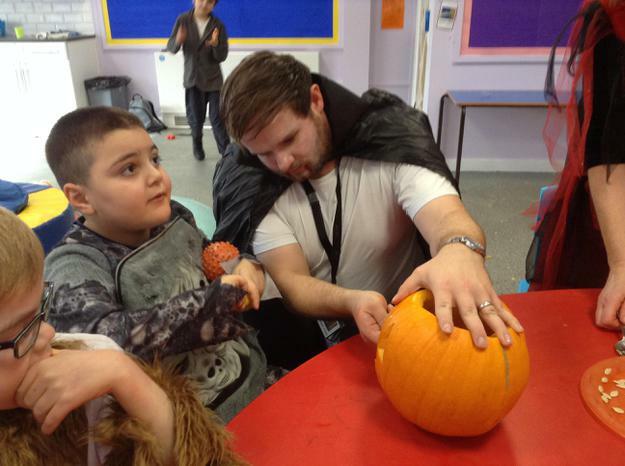 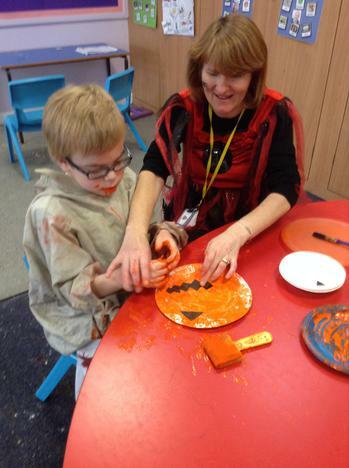 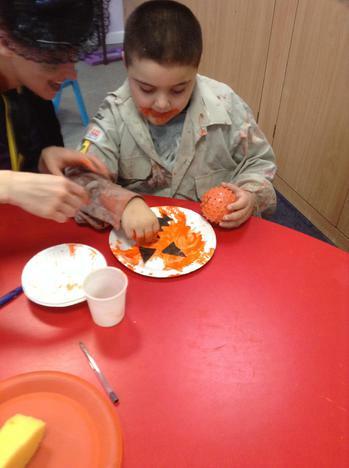 Halloween was a spooky day in Aqua class. 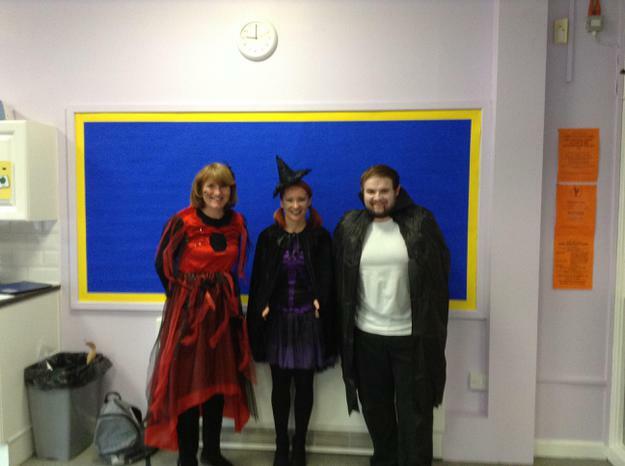 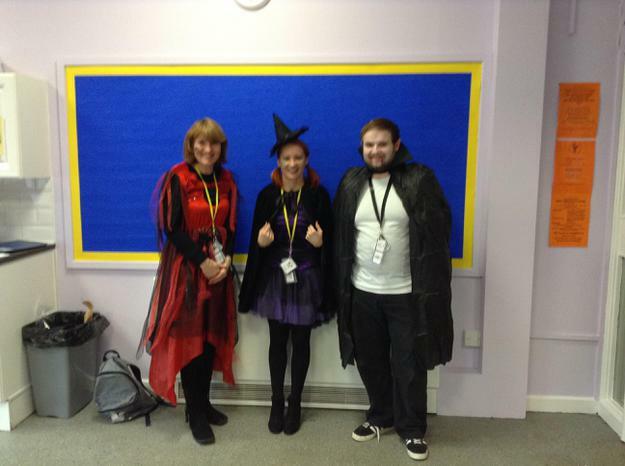 We all dressed up in our best costumes, we had a scary witch, a werewolf and a monster. 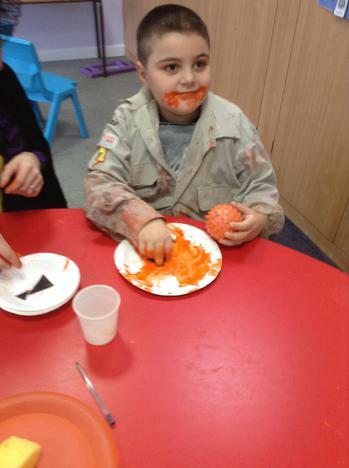 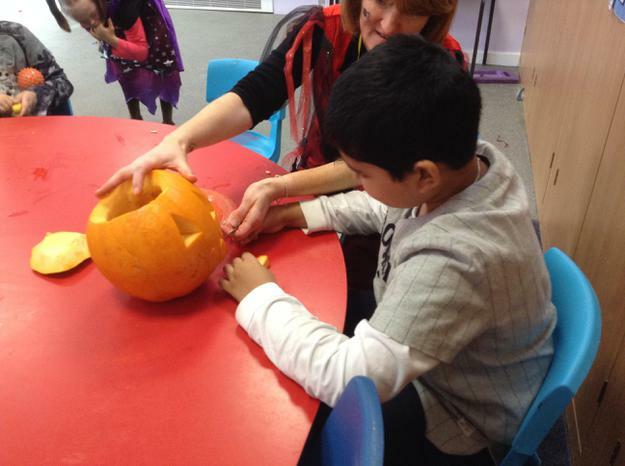 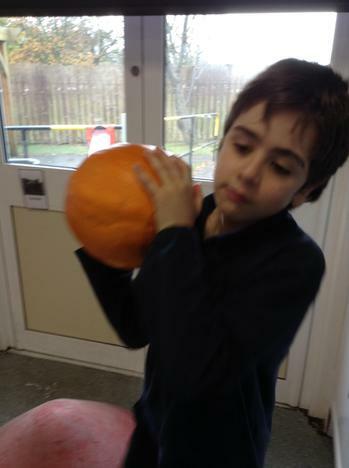 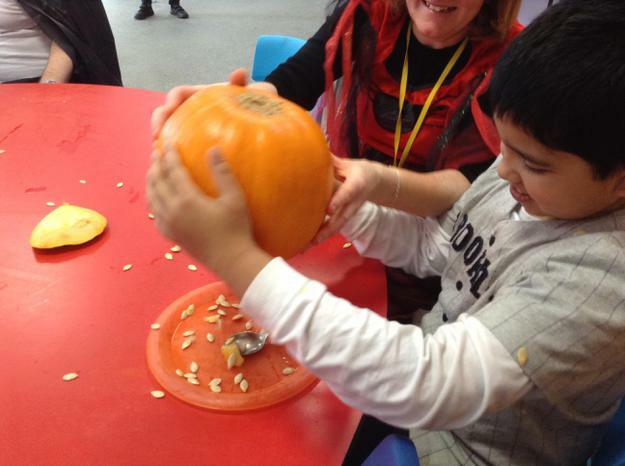 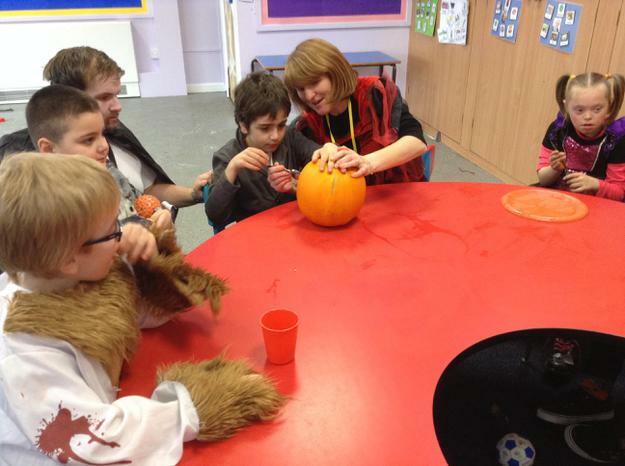 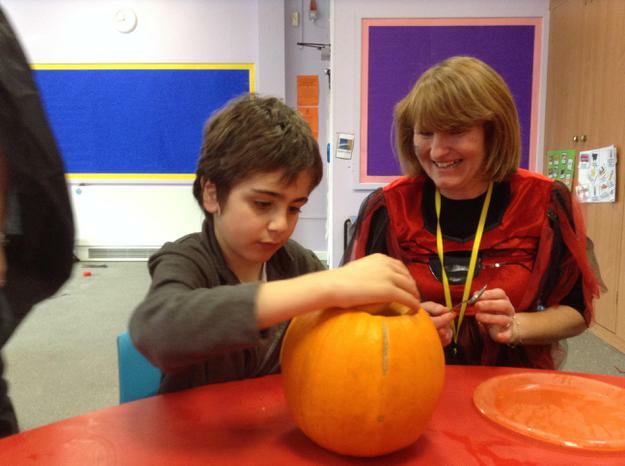 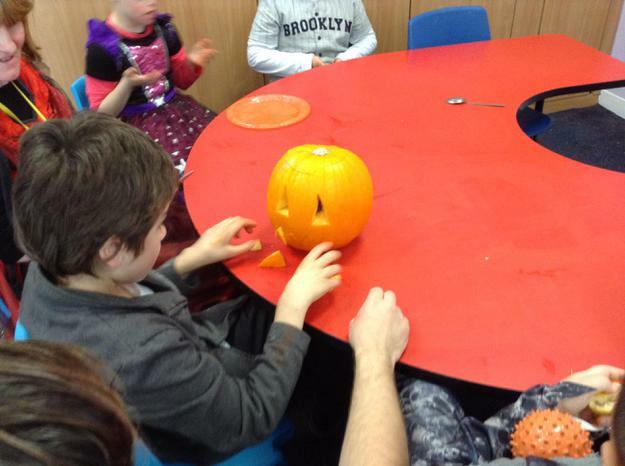 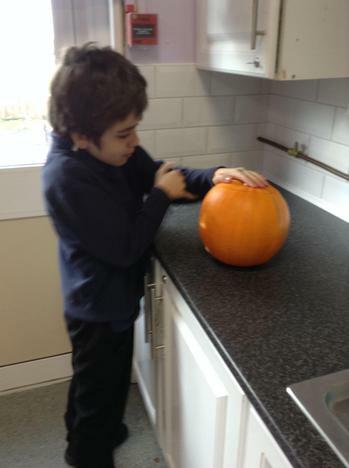 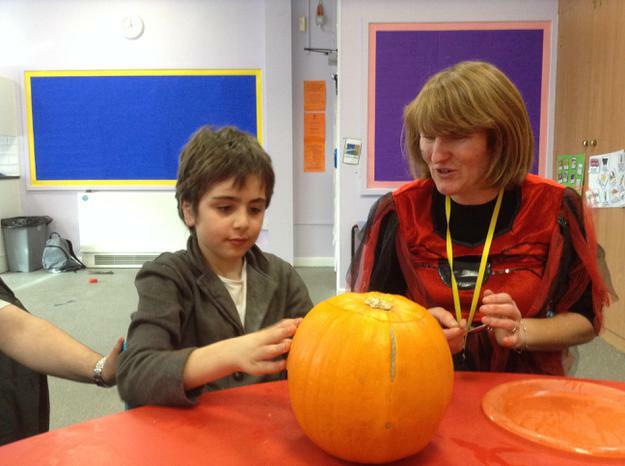 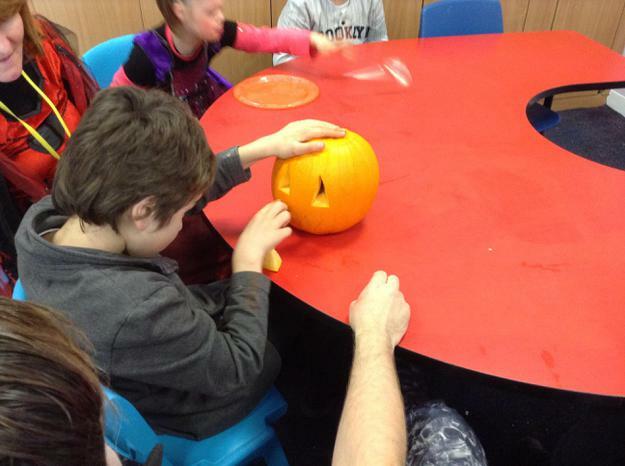 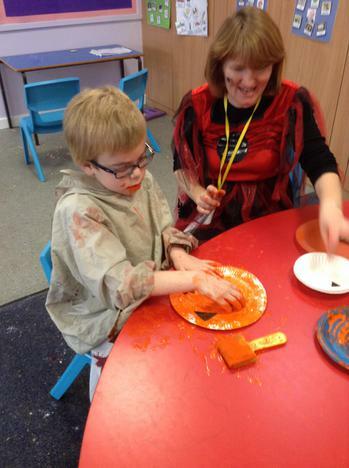 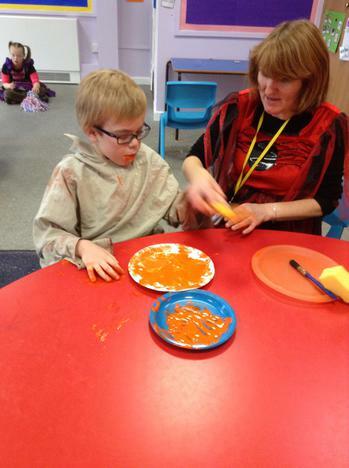 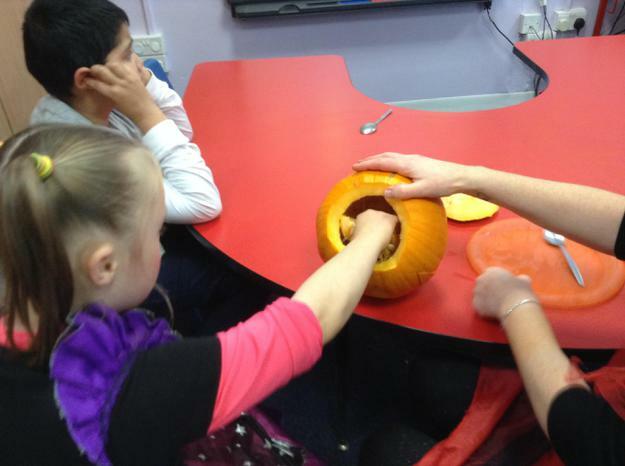 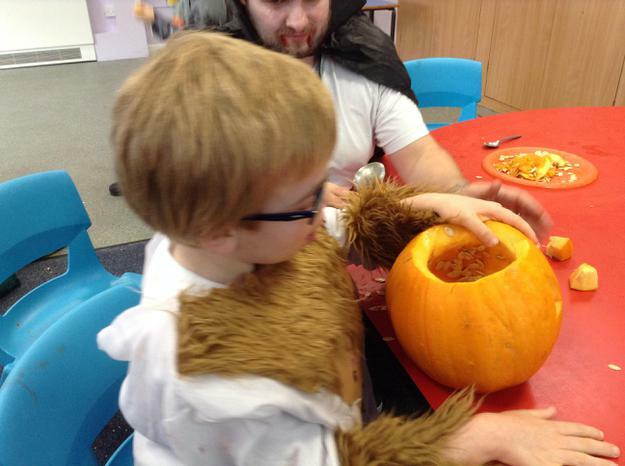 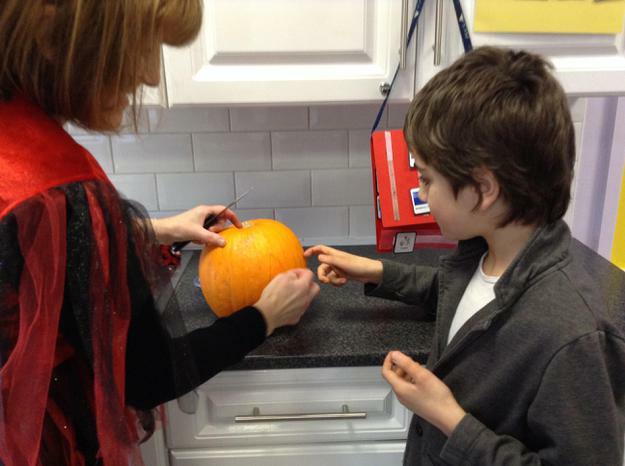 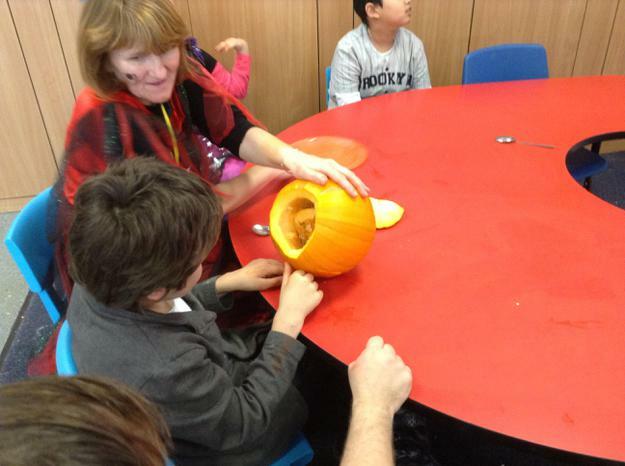 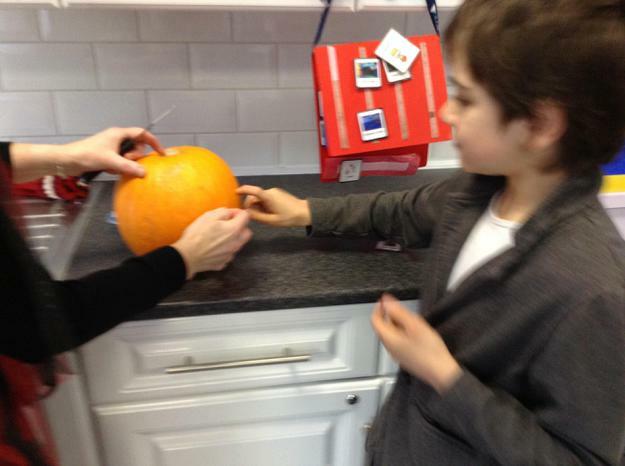 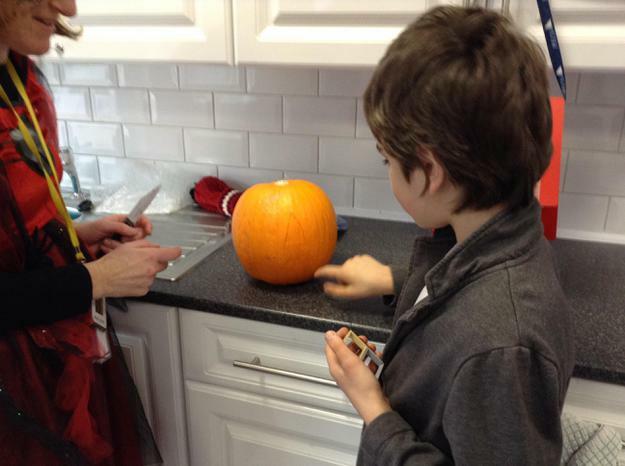 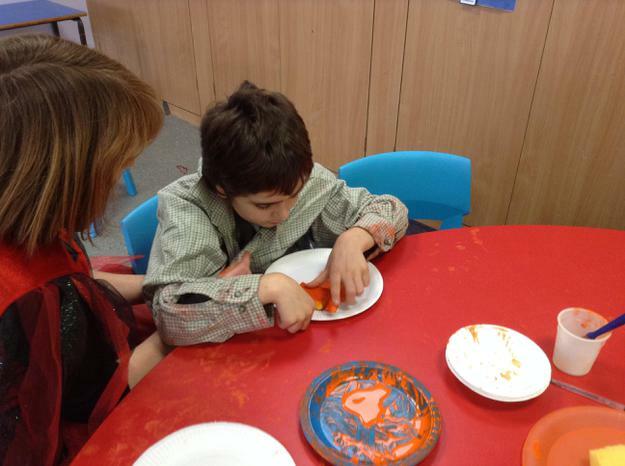 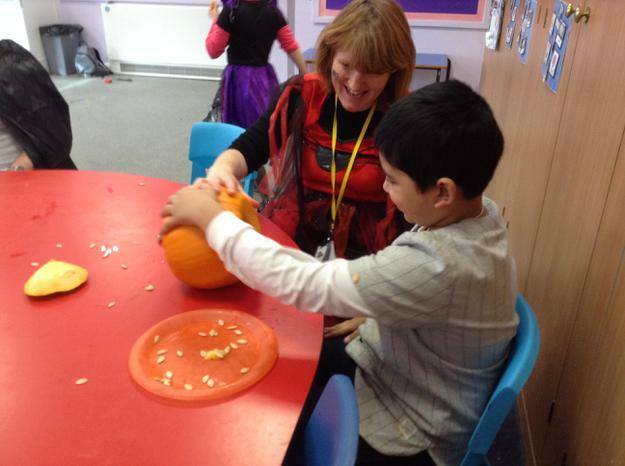 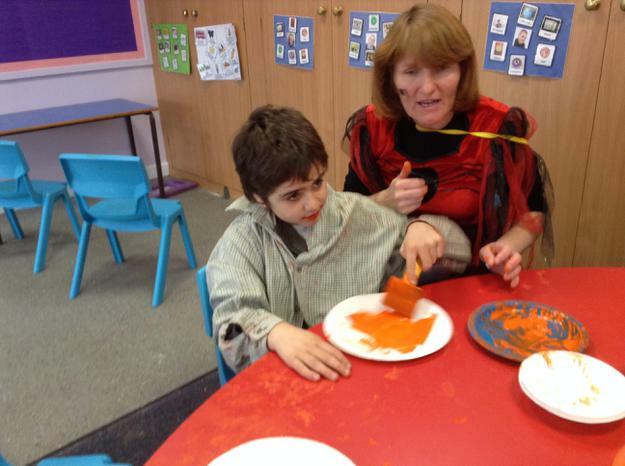 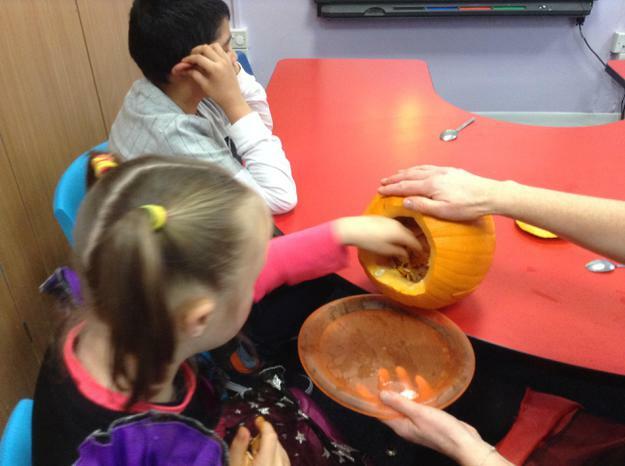 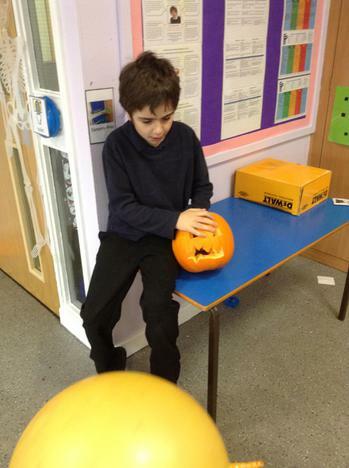 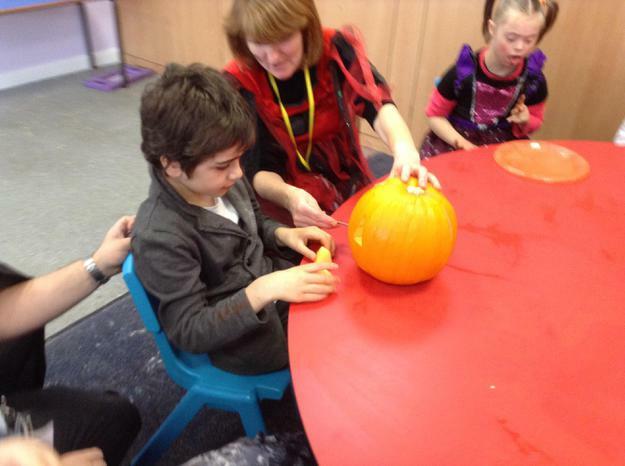 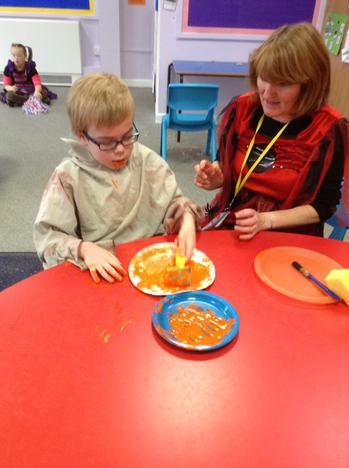 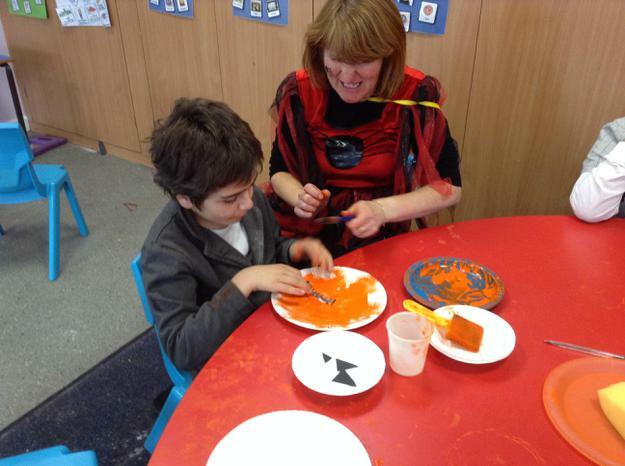 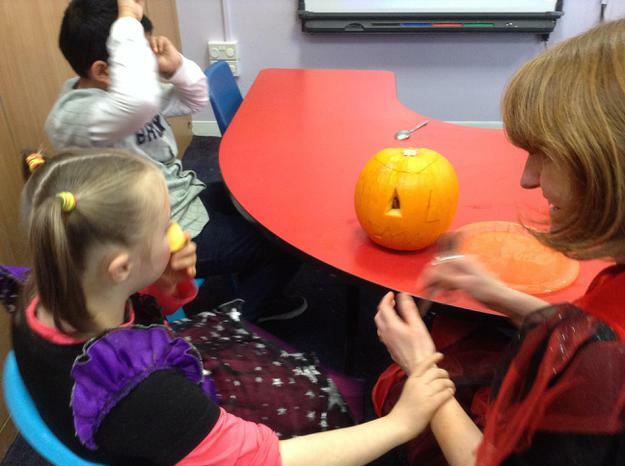 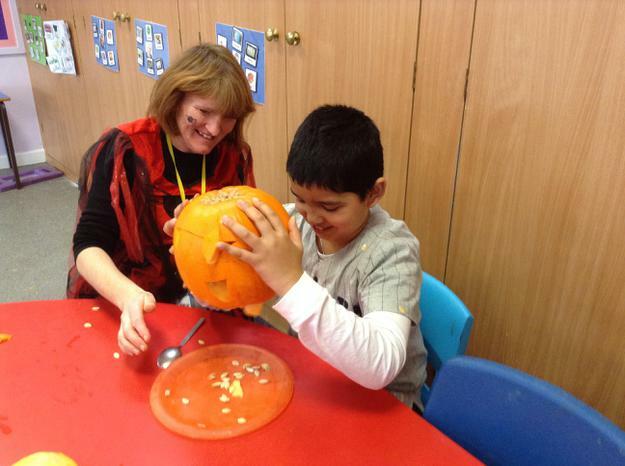 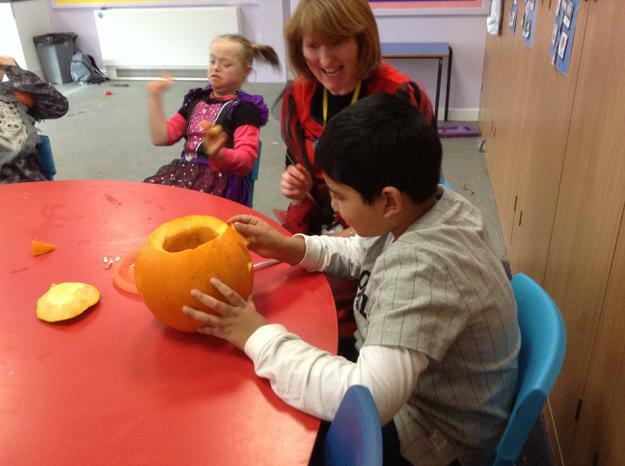 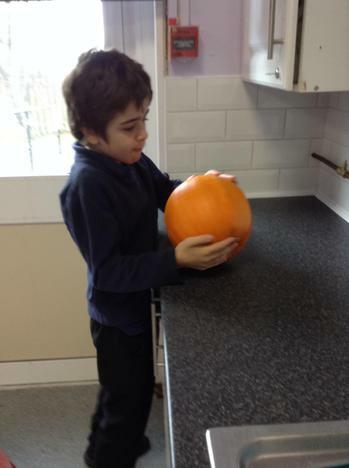 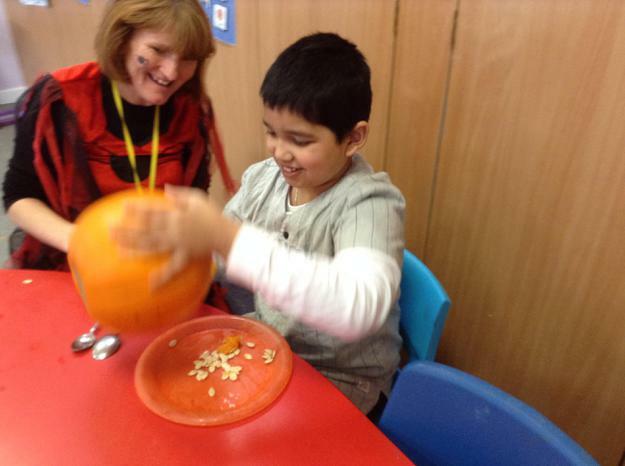 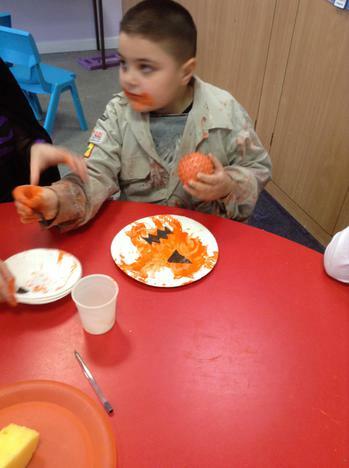 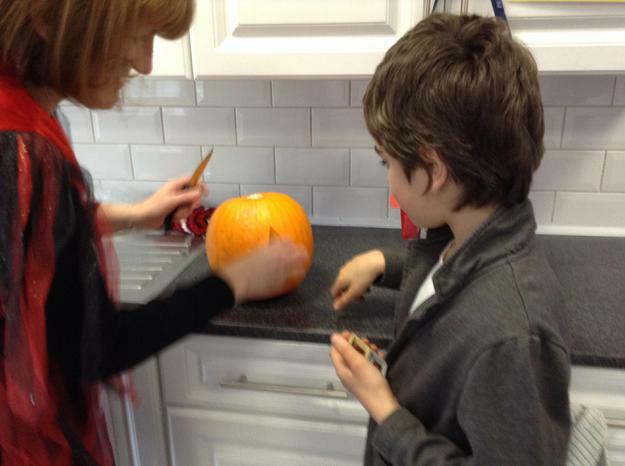 We had a fun filled day that included sensory exploration with the pumpkin - it was fun to feel inside the pumpkin. 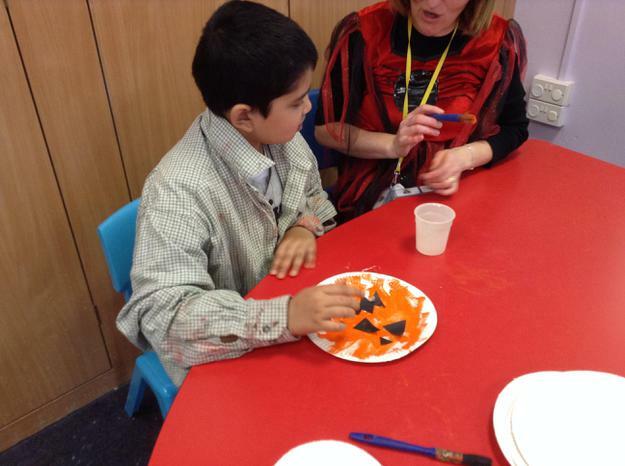 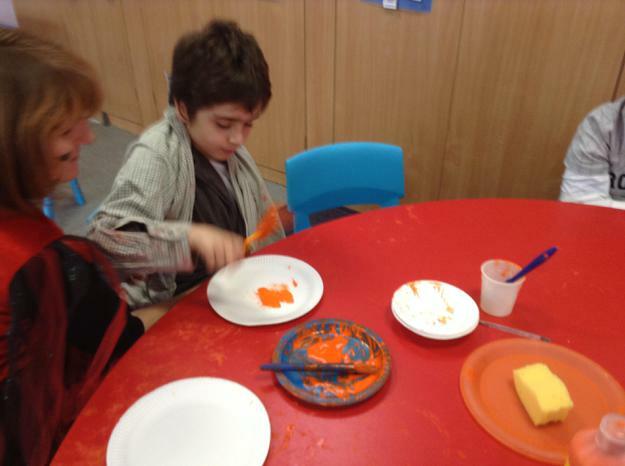 We also used paint to make pumpkin pictures. 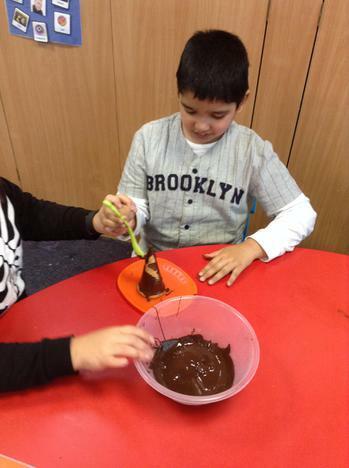 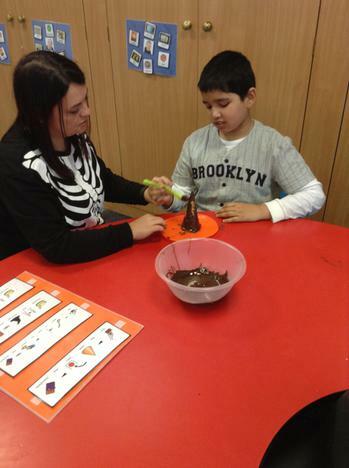 In the afternoon we also used chocolate and ice cream cones to make witch hat biscuits. 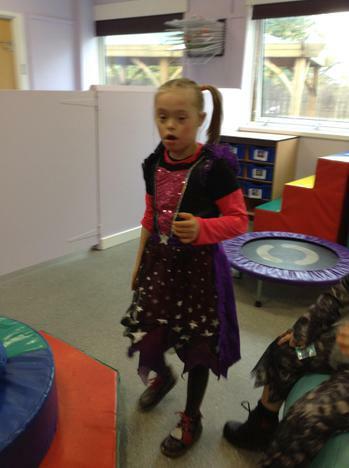 We finished the day with a Halloween dance in the hall.